This vet website design can be a great solution to introduce any type of business. 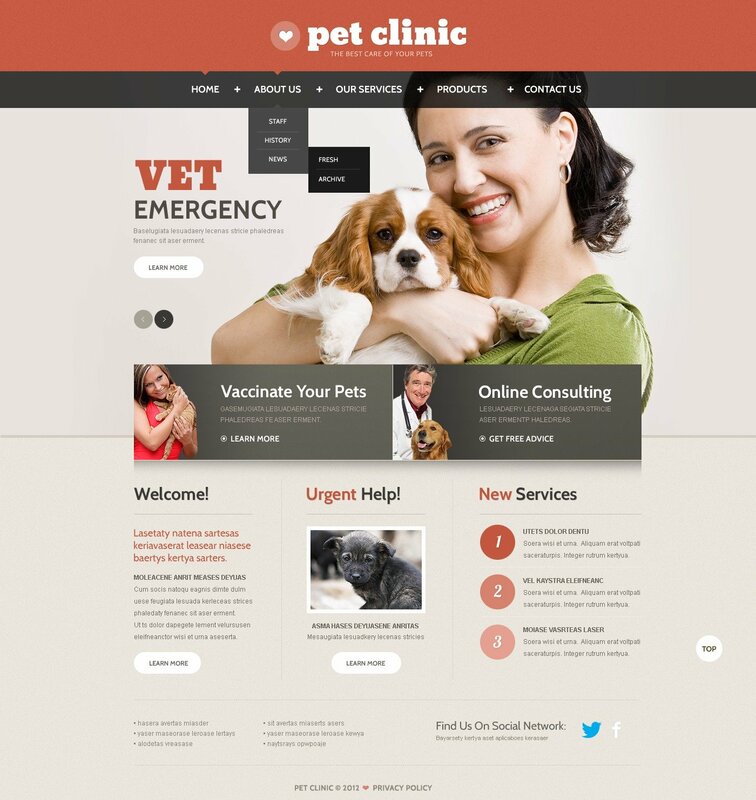 You can use veterinarian website web theme as a basis for veterinary doctor, pet clinic or vet supplies web resource. Modern well-arranged layout will convey the concepts of your online project in an easy-to-perceive way, and welcome the visitors to learn more. Made with this cross-browser compatible layout, your web project will provide a significant profit. This 100% responsive web template is a practical solution with nice typography and well-structured content areas. A helpful customer support crew is available 24/7 free of charge. Get closer to your audience by making use of this web template. Bad template - not good for todays standard. Used old grid layout. Can&#039;t be transformed to responsive template easily. Not for popular CMSs.